Genuine Ford Escape Parts at Wholesale Prices! Brake Rotors – This integral part of your brake system can wear down with time, and when you start to notice noise or a loss of stopping power, check for wear. We have replacement brake parts. Replacement Bumper Covers – Your Escape may need the bumper cover replaced due to damage. We have front and rear covers for your Escape. Oil Filters – Fresh oil deserves fresh oil filters, so when it comes time to change the oil, add a new filter. We also have fuel filters, transmission filters and air filters. Intake Manifolds - Replace the intake manifold on your Interceptor with a factory manifold. We carry manifolds and other exhaust system parts. Cooling System – Keeping the engine cool in this performance vehicle is of the utmost importance, so when you need a new radiator, fan or water pump, buy OEM Ford parts for exact fit replacement parts. 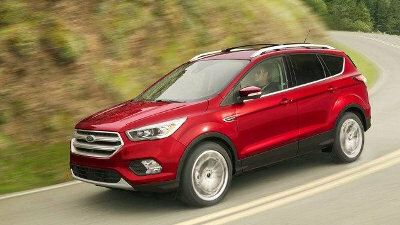 When the time comes to purchase replacement parts for your Ford Escape, you can be sure that you will be getting parts at affordable prices. Because we do not try to "make up for" our low prices with inflated shipping costs, so you will not be surprised by the total price. Place your order now by calling us at 585-475-1064. Our Ford parts staff members who answer the phones FordPartsOnSale.com have extensive experience with Ford parts.